At only $15 per month, this is a great budget plan for new Sprint customers with eligible phones. Sprint's latest effort to get people to switch to their network might actually work. For a limited time, the national carrier is offering a plan called Unlimited Kickstart, which includes unlimited data, talk, and text for $15 per month without an annual contract. That's only $180 (plus taxes and fees) for one year of cell service! Of course, with every seemingly too-good-to-be-true deal, there are always a few caveats and intricacies, which we address below. What is Sprint Unlimited Kickstart? Starting June 8th, 2018, when you switch from another carrier to Sprint, you can get unlimited data, talk, and text for $15 per month when you use AutoPay, for up to five lines of smartphone service. It's unknown when this promotion will end. Can I Lease/Finance a Phone Through Sprint While on the Unlimited Kickstart Plan? No, you must buy a new phone outright, or bring your own phone. If you are currently leasing a phone from another carrier, Sprint will not help you pay off that lease. You can check to see if your phone is eligible/compatible here. You'll also need to buy a Sprint SIM kit if you don't already have one. Will the Monthly Price Increase After One Year? 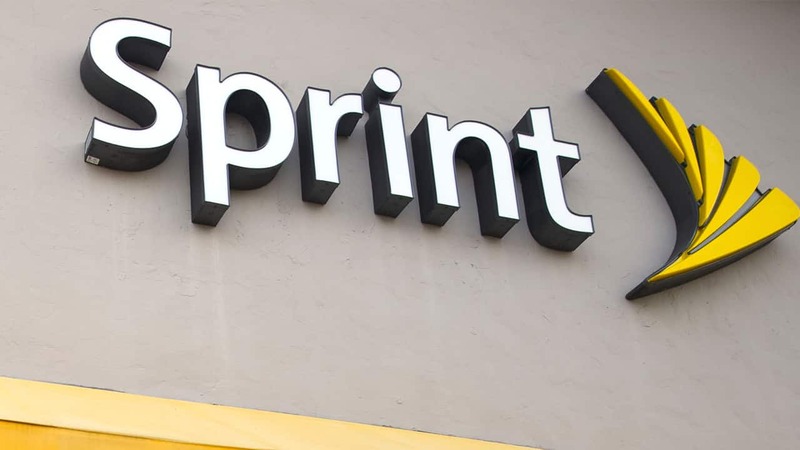 According to Allan Samson, Sprint's senior vice president of acquisition marketing, there are currently no plans to increase the monthly price for those who sign up during this promotion. Can I Sign Up for Unlimited Kickstart if I'm Already a Sprint Customer? No, this limited-time promotion is only for those who port over a number from another non-Sprint carrier. Boost Mobile and Virgin Mobile customers are not eligible because these are Sprint subsidiaries. Does Unlimited Kickstart Include Mobile Hotspot? No, device tethering via mobile hotspot is not available on the Unlimited Kickstart plan. Are there Data Speed Caps with Kickstart Unlimited? Yes. Since you're only paying $15 per month for unlimited data, there are obviously going to be speed restrictions. Videos will only stream up to 480p resolution, music up to 500 kbps, and gaming streams up to 2 mbps. While this all sounds bad, in reality, it's completely acceptable. We tested 480p video and it looks just fine because of the smartphone's small screen size. CD quality music is 320 kbps, and most podcasts use 128 kbps. During peak usage times, data for Kickstart Unlimited users will be deprioritized. 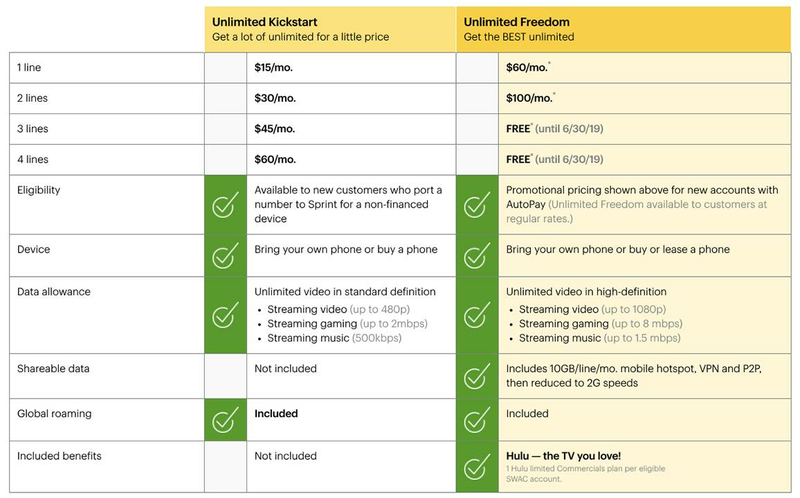 Any Other Caveats with Sprint's Unlimited Kickstart Plan? Free Hulu will not be included with Unlimited Kickstart, and you'll need to sign up for AutoPay. You also won't be able to take advantage of new phone discounts or device trade-in offers.